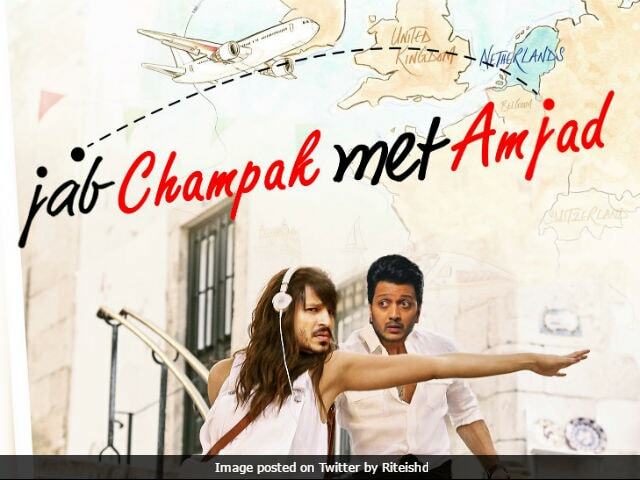 Last month, Riteish Deshmukh morphed the posters of popular Bollywood and Hollywood films including Salman Khan's much-awaited film Tubelight. These posters are sure to make you ROFL. After #Dangal's stupendous success in China - Next film to release there is #BankChor - This is our poster for the China release. Bank Chor has been directed by Bumpy and produced by Y-Films' Ashish Patil and YRF's Aditya Chopra. The film is a story of three amateur bank robbers, played by Riteish, Vikram Thapa and Bhuvan Arora, who end up staging a heist at the wrong time. Vivek Oberoi portrays the role of a cop in the film, who is assigned to catch the trio. The makers of Bank Chor unveiled the trailer of their film on May 9 and it won a lot of appreciation from like Bhumi Pednekar, Taapsee Pannu and Gurmeet Choudhary. Bank Chor is scheduled to release in theatres on June 16.